Beat butter, granulated sugar, brown sugar and vanilla in large mixing bowl until creamy. Add eggs, one at a time, beating well after each addition. Gradually add flour mixture and stir to combine. Stir in chocolate chips and nuts. 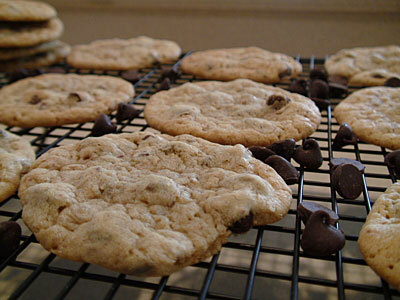 Drop by rounded spoonfuls onto ungreased or parchment lined baking sheets. Bake for 9 to 11 minutes or until golden brown. Let stand for 2 minutes; remove to wire rack to cool.